I have a serious problem with the idea of spending massive amounts of money to sit in a conference room listening to some self-help guru or motivational speaker. I am also allergic to church and despise therapy. Call me crazy, but I try to avoid cults as well. Here's what I think: if a leader is trying to cultivate followers, what they are actually trying to do is cultivate sheep. What is "self-help?" Isn't self-help about enabling and empowering you to become the master of your own life? Aren't you meant to align yourself with the higher truth of the universe so that you might flourish? Is there any way that this can happen if you are willing to become a conformist, a follower, a sheep? Gurus want you to follow them only so that they can take your money. Real transformation, on the other hand, is only possible when you find the courage to not to follow anyone. The therapist doesn't want to cure the patient because she earns a living from repeat visits. Similarly, the self-help guru, cult leader, or televangelist never delivers the life transformation he promises because he needs followers. Followers = butts in seats = money = the symbols of success = equals more followers and the cycle continues. If you attend seminars, if you trust a therapist, or if you put your faith in a church, then you are leaning heavily on a faulty crutch rather than taking real steps. By becoming a follower, you have chosen to ignore your inner voice and to ignore the infinite wisdom already inside you. By putting yourself in that room and worshiping your chosen leader, you are dissolving your greatness into a group of fakers while ignoring your power, your divinity, and your creative potential. You are passively submissive to someone who you believe is better than you and, while their empowering language may make you feel good, you are not walking the walk and you are not becoming a master of your own life. Mastery begins only when you stop this cycle. I believe that a person who is healed, who has actually undergone a transformation, who is connected with the source of creation and who is enjoying the abundance of the universe--that person is going to have a strong reaction against sitting in a cold, dark conference room being worked into a frenzy by a show, a performance that is led by a snake-oil salesman offering only enough nuggets of wisdom to tease the next dollar from your pocket. If a guru or leader is attempting to build a following, then he or she is a fraud. Watch the film Enlighten Us on Netflix. This must-see documentary is about the rise and fall of James Arthur Ray--a dangerous fraud who cares only about his own success. The man is a psychopath who justifies his destruction by honestly believing he is trying to help people. The film hits close to home for me because I am something of a self-help author newcomer. But unlike James Arthur Ray and the others, you will never find me in front of an audience giving a performance in order to collect followers. I don't want anybody passively sitting in any audience listening to what I have to say. I want you to read, to step outside of your ego, to open yourself to Love, and then to connect with others who have done the same. Don't look at any leader for direction or you will become lost. Look inward and then connect with others who are doing the same. You can learn from famous people, but don't follow them. Don't trust me, don't trust anyone--trust truth and know that the best truth sensor is your own intuition. To conform to a group is to kill that intuition, to shut down your inner-voice, and to move away from the possibility of transformation rather than toward it. Devour books, watch speeches on YouTube, absorb as much wisdom as you possibly can--but evaluate it according to your own, independent, inner-voice and intuition. No supposed leader has the right to ask for your money for the privilege of sitting in a seat, shaking a hand, or becoming a loyal follower. Transformation starts when you begin to respect yourself more than that. I Love you and respect you so much that I wouldn't let you follow me even if you tried to. *Photo of James Arthur Ray, a psychopath who people actually have followed. The inauguration of Trump brings forth a shift in energy. What will that energy destroy and what will it create? Each epiphany is only a step on the journey of a life with a specific purpose. No single idea, strategy, or even creation can possibly be big enough to complete the full meaning or potential of a life. The best you can do is only a small, humble, yet effective step. To take a step, and then to give up on walking before the entire journey has been completed would be absurd. The only sane act that can be taken upon the completion of one step is the beginning of the next--and the best next step is another big, inspiring, fun, amazing idea. To believe in shortcuts is to believe that it is possible to complete a life-long journey in just one step. To make every step as huge, inspiring, and amazing as it can possibly be, and to do this day-after-day, is to fulfill the potential of your life by completing the entirety of your journey. Belove reveals a truth that is the antidote to suffering. When you align your thoughts and behavior with this truth, you will rise to your highest level of success. Your life will be filled with meaning. Your relationships will be blissful. You will feel great. You will live without fear. Your life will be a legend. The highest form of truth is love. We all know what love is, but few know how to live within its energy and how to unleash its power by escaping the ego. Ego is the opposite of love. Ego is what holds us back from being love. It offers nothing. Love offers everything. 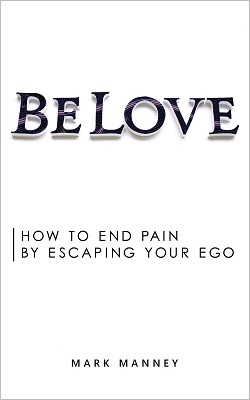 This book reveals the sickness of ego and the power of love to transform your life.